Scibus employs 15 veterinarians, agricultural scientists and business professionals who are dedicated to providing a better life for livestock, producers and consumers. Many of our consultants conduct their own research projects, giving them new insights that can improve the productivity and profitability of their clients. In addition to our extensive in-house capabilities, Scibus belongs to an international network of leading researchers and consultants to provide access to the latest intelligence on new products and techniques. Scibus founder and managing director, Professor Ian Lean, is a leading authority in the medicine, nutrition and management of dairy cattle. A graduate of the University of Sydney (1979), he spent six years as a large animal veterinarian in the Hunter Valley of NSW before undertaking his PhD at the University of California, USA. Between 1986 and 1996, Ian lectured in clinical nutrition and cattle medicine at the University of California and then the University of Sydney, where he remains an Adjunct Professor in Veterinary Clinical Studies. 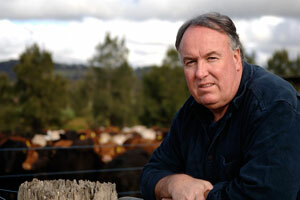 At various times throughout the 1990s, he served as the senior examiner in Cattle Medicine and Ruminant Nutrition for the Australian College of Veterinary Scientists, and as president of the Australian Association of Cattle Veterinarians and the Cattle Chapter of the Australian College of Veterinary Scientists. Ian is the author of than 200 scientific articles, many of which have been published in internationally-renowned journals, as well as the university text, Nutrition of Dairy Cattle. He has appeared as a keynote speaker at major conferences in Australia, New Zealand, USA, Canada, UK, Argentina and South Africa. Neil has over 20 years experience in the dairy industry and joined Scibus in 2001. He has been a partner and director of the company since 2006. After two years in mixed veterinary practice, Neil commenced an internship in cattle medicine and surgery at the University of Sydney in 1996, graduating that year with a Diploma in Veterinary Clinical Studies at the high distinction level. In 1997, he commenced a clinical residency and PhD program investigating the interaction of management, nutrition and reproductive performance in dairy cows. He now consults to dairy farms ranging in size from 100 to 1200 cows in NSW and Western Australia while providing supporting services to our team of consultants and clients in South Australia, Queensland and Victoria. His professional interests include whole-herd reproductive management, preventive medicine, and development of integrated dairy nutrition and agronomic strategies. 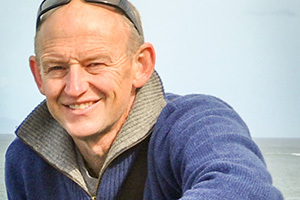 In 2012, he completed a Diploma of Human Resource Management with Dairy Australia, incorporating his knowledge in this area with his whole farm advisory services. He extensive practical and industry experience has resulted in him being a invited speaker at numerous veterinary and industry conferences, farmer meetings and discussion group as well as a consultant and adviser to a number of expert and technical committees. He has also developed skills in assessing dairy business interruption and development of strategic management plans when dairies are impacted by infrastructure projects or other causes of disruption. Helen graduated with a Bachelor of Agricultural Science, majoring in Livestock Science in 2008 and Honours in Animal Science in 2009 from The University of Adelaide. She then joined Scibus in 2010 as a research assistant and undertook a PhD in Veterinary Science at The University of Sydney in collaboration with Scibus. Helen also worked part time as an Associate Lecturer teaching cattle handling at The University of Sydney from 2012 to 2014. Helen graduated in 2014 with 6 first author papers published in peer reviewed scientific journals from her thesis. She was awarded the Veterinary Science Foundation PhD Excellence Award for her thesis. Helen’s thesis has increased understandings of ruminal acidosis in dairy cattle. 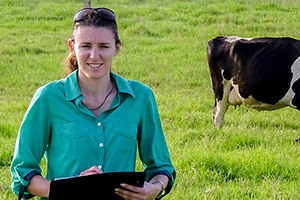 Her research fields are ruminal acidosis, dairy nutrition, rumen bacteria and field studies. She has presented at major conferences in Wales, USA, and Australia. Kamilla graduated with a Masters degree from Copenhagen University in 1999 and emigrated to Australia the following year. 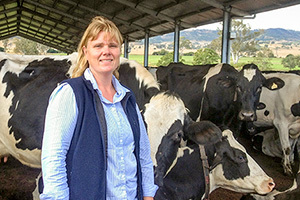 She has a solid background in dairy management and nutrition, having been herd manager in one of Australia’s highest-producing registered herds for six years. She also spent two years part-time with a veterinary group, specialising in reproduction and embryo transfer. Kamilla has a particular interest in nutrition and conducted her own consultancy while based in Victoria. She joined Scibus in 2007 and is now based in south-east Queensland. Recent projects have included the evaluation of nutrition software for ration calculation. 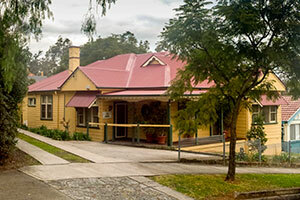 Tash graduated with a degree in Veterinary Science from the University of Sydney in 1996. She has worked in mixed dairy practice in NSW, Victoria and the UK and has also been a cattle clinician, at the University of Sydney and the Royal Veterinary College, London. She has been awarded membership of the Australian College of Veterinary Scientists in dairy medicine and has also been lucky enough to work as a volunteer in both Thailand (milk quality and nutrition project) and Antarctica (seal project). Tash was a lecturer at Charles Sturt University, 2006-2014, training veterinary students in all aspects of cattle medicine and production as well as undertaking dairy research. In more recent years Tash has become involved in improving farmer education and industry understanding of animal management through Dairy Australia’s dairy industry extension programs. Vicky grew up in Edinburgh, Scotland. Upon graduating in 1986, she commenced work with livestock nutrition company, J. Bibby Agriculture, as a research officer and then ruminant nutritionist. Relocating to Australia in 1990, she joined the Barossa Valley feedmill, Laucke Mills, as its Ruminant Specialist. In 1993, she joined animal health company, Elanco, as its National Technical Consultant and then Dairy Business Unit Manager. 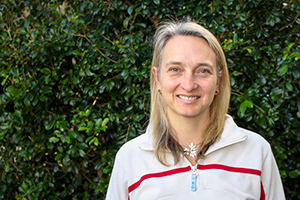 In 1997, she joined Meningie Fodder in South Australia as its Nutrition Consultant. Vicky joined Scibus in 2008 and now consults to dairy producers in the Adelaide Hills, Fleurieu, Murray Bridge and Meningie regions. She specialises in ruminant nutrition, combining pastures and supplementary feeding programs for maximum production. 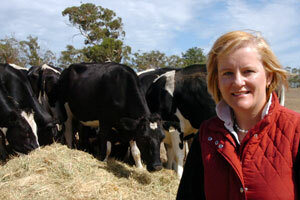 She is a member of the South Australian Dairy Industry Development Board.